Snowmobiling is one of the most enjoyable winter activities a person could do and some would argue THE most enjoyable. When I was younger and snowmobiling around my neighborhood, I would put on my snowsuit, boots, gloves, and helmet and ride over to my friend’s house. From there we would ride the local ditches and trails, not venturing more than a few miles from home. Back then, we didn’t carry much for survival gear outside of an adjustable wrench and a screwdriver. Today, snowmobiles take you further into the outreaches of nature and people travel well beyond their neighborhood for a day’s ride. When I go for a ride I don’t leave the garage without this list of essentials. 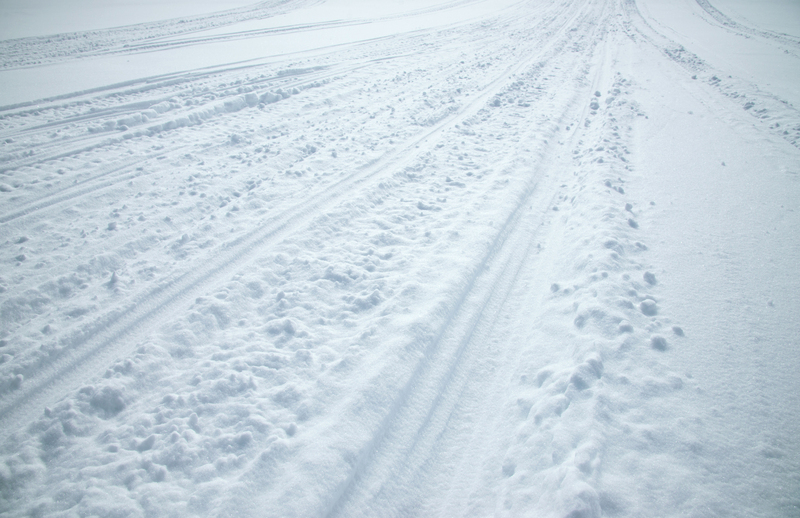 Here are 7 things you should never snowmobile without. A number of years ago two of us went for a ride near the boundary waters in northern Minnesota. We had gotten lost and didn’t have a map or GPS with us. It had gotten dark, the temperature had dropped to below zero F, and we were running extremely low on fuel. We had the phone number to one of the local resorts, but the problem was the phone number was on the cell phone that was not able to stay on long enough to make a call. And the other phone was almost out of juice as well. Luckily we were able to read the phone number from the “dead” phone long enough to enter into the nearly dead phone and make a call to get directions. 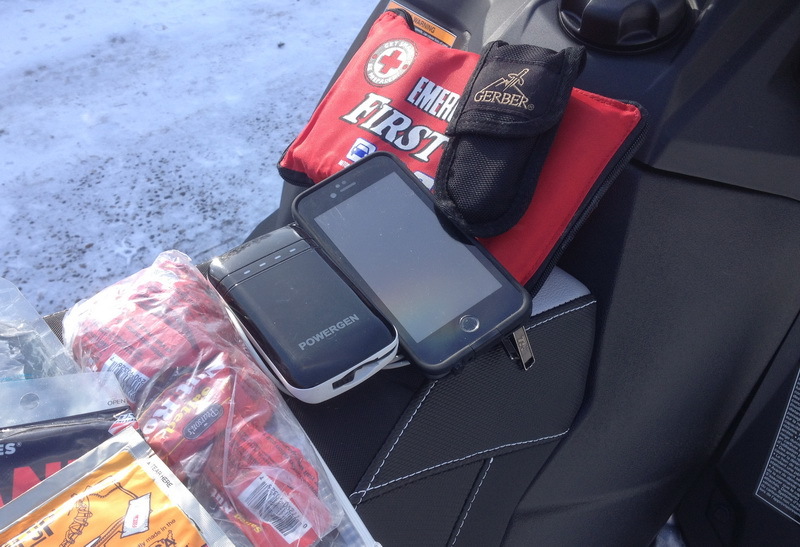 Since then, I’ve never snowmobiled without a GPS and I always carry portable power. 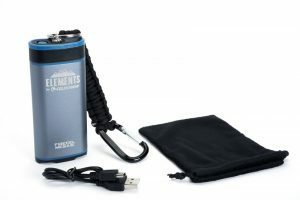 Celestron makes a series of rechargeable fuel cells that will charge your phone, but they also pull triple duty; they are a handwarmer and LED light. They work great and some models are waterproof as well. They will warm your hands for hours if needed, the LED light is great for viewing trail maps or refueling your sled in the dark, and it has SOS capabilities. Remember to take along your phone charge cord. 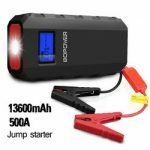 Also, something becoming more popular are these battery packs with jump-start capabilities. If you have a 4-stroke sled, you might want to consider having one of these. I have one in each of my vehicles and they work. I used a 400A peak unit to start a Ford Expedition with a dead battery in single-digit temperatures. The drawback is they do take up a little more space, so shop around for the balance between compactness and the capabilities you’ll need. If you’ve ever watched the Red Green Show, you’ve learned that duct tape can fix almost anything. I’ve used it to tape a trail sign back up or patch a hole in my hood. 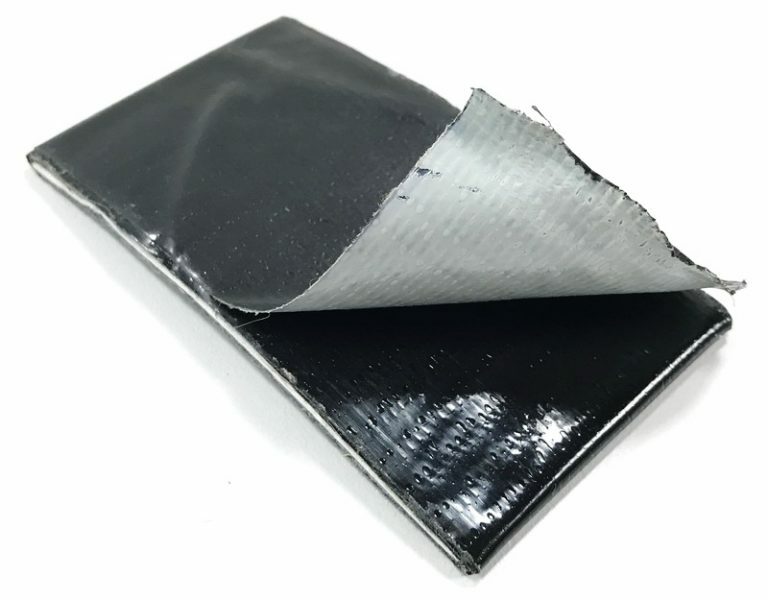 It can be used to tape a torn boot or glove or simply to hold wires in place. I use what’s on hand, but I like the bright orange as it can be a visual clue for a safety hazard. If it’s too cold to allow the adhesive to stick, you can usually warm it up by placing it inside your jacket. I don’t carry a whole roll, but what I’ll do is take a business card and wrap duct tape around it a few times. It stays flat, doesn’t take up much room, and can fit in my shirt pocket to stay warm and pliable. Today’s smartphones have a flashlight feature that can illuminate enough to read a map or change spark plugs, and some of the portable power supplies also have an LED feature, but you may need to make a call or need more light than the charger offers. This is why I carry a small bright LED flashlight, like a Surefire. They put off more light and are bright enough to use as a headlight in an emergency. 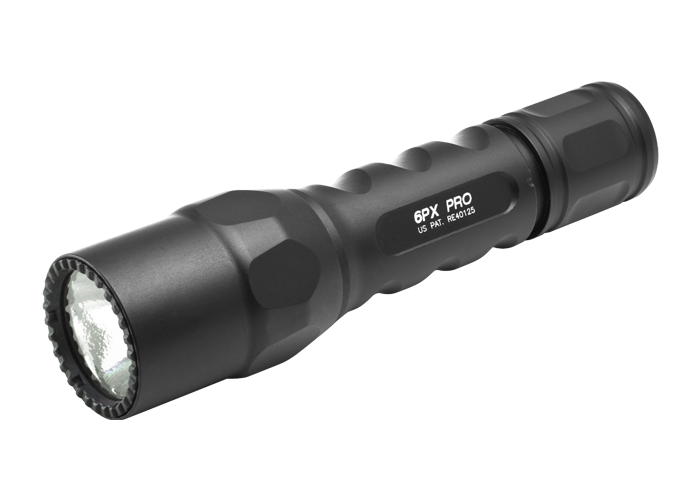 You’ll be able to see much further and also be better able to use it in a search and rescue situation. 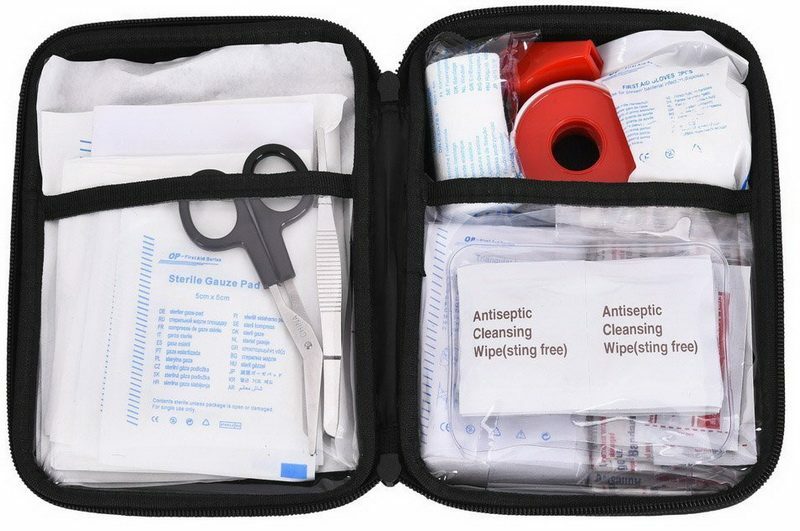 I’ve never had to use much out of a First Aid kit outside of a sanitary wipe and bandage, but I’ve been glad I’ve had one with even just for that. I carry a small kit with a variety of bandages, surgical tape, gauze, pain medication, burn gel, tourniquet, and mouth piece for CPR. It doesn’t take up much space, and can be transferred to your truck, ATV, motorcycle, boat, or any other activity you enjoy. I check mine each time I go out to make sure it’s not missing anything essential. I also bring a pack of tissues and a couple handy-wipes for those emergency times when you might have to do what bears do in the woods. OK, technically this is two, but it could be categorized as nourishment. Water is absolutely essential. You’ll be exerting water and you need it, so bring a flask with you. You may think you have all that snow around you, but in a survival situation your body will need all its energy and it cannot afford to use it up melting snow for water. It takes a lot of snow to get the water your body needs. Don’t rely on flimsy water bottles as they can easily puncture. I carry my water in a chest pocket on my jacket. 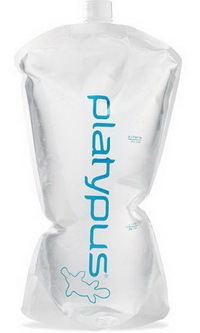 I use a 2-liter flexible Platypus brand flask. I fill it up when I’m in the mountains, and only half-full for trail riding if I know I’ll be stopping along my route. It fits nicely into a chest pocket, is puncture resistant, and as it empties it becomes more compact for storage. I also bring energy snacks. Sometimes it’s a sausage stick, jerky, and peanut roll and sometimes it’s a granola bar. Dried fruits, nuts, and jerky will get you through a day. 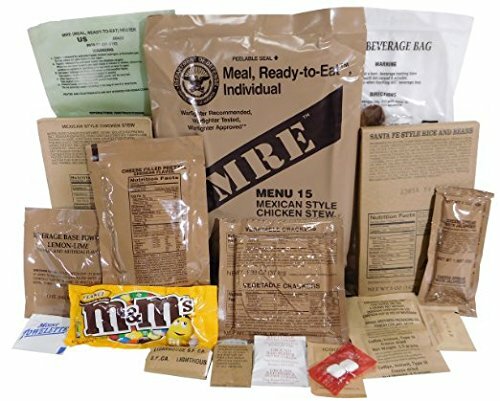 If you are heading to the mountains, an MRE pack is essential in your survival kit. They are compact and light weight. You exert a lot of energy riding and your body needs carbs and protein. Better to have a snack with you to take the edge off than to have to think about your hunger when you should be thinking about your riding. A crescent wrench and screwdriver aren’t a bad idea, but they take up a lot of space and are limited in their abilities. Bring a multi-tool with you, preferably one with a pliers. I have a Gerber brand and it has a needle-nose pliers with serrated jaw section, wire cutter, wire crimper, fine-edge knife, serrated-edge knife, Philips driver, small flat driver, medium flat driver, large flat driver, ruler, bottle opener, can opener, and file. You may have to spend a night out in the wilderness. I wouldn’t worry about nefarious animals, but what would get you is hypothermia. You’ll want the ability to stay warm and that means a fire and thermal blanket. 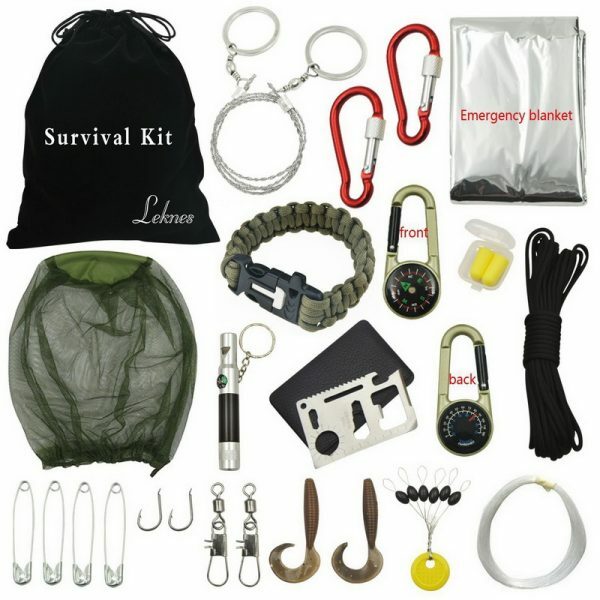 There are several survival kits on the market or you can create your own. Just make sure you include a thermal blanket or tent, fire starter, paracord, and a whistle. You can blow on a whistle a lot longer than you can yell for help. Start with a kit like this and remove or add items that you feel would be essential for you. I ride with these items every time I go out, and the best part is they all fit in pockets or in the sled storage compartments. You don’t have to wear a backpack to carry this with you. If you were going on a longer excursion or in the mountains, you’d want to bring more survival gear with, but overall this will cover you for a day. Remember to always let someone know where you are going and what time you plan on being home. You should also let someone know what trail-head you are parked at to give them a starting point should search and rescue be needed. Give us some feedback on what you take with you on a snowmobile ride for a day.